In order to make a fully informed decision, having easy access to valid, research-based information is key. 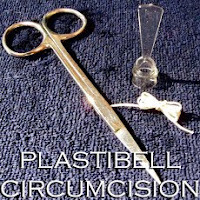 Working hand in hand with clinicians who volunteer with Saving Our Sons, we deliver accurate prepuce ('foreskin'), intact care, and circumcision information to any expecting parent in need or clients of intact conscious practitioners. There are 6 options below for getting material to your expecting friend/family member. 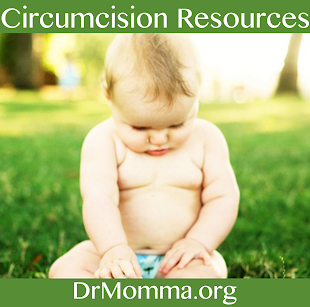 Complimentary videos full of helpful, research-based information on the prepuce, its care, and the circumcision decision parents in the U.S. and Canada are allowed to make today. A proper intact care chart for use at a physician's office, daycare, nursery or with a babysitter. We are happy to send along additional intact care cards at your request. 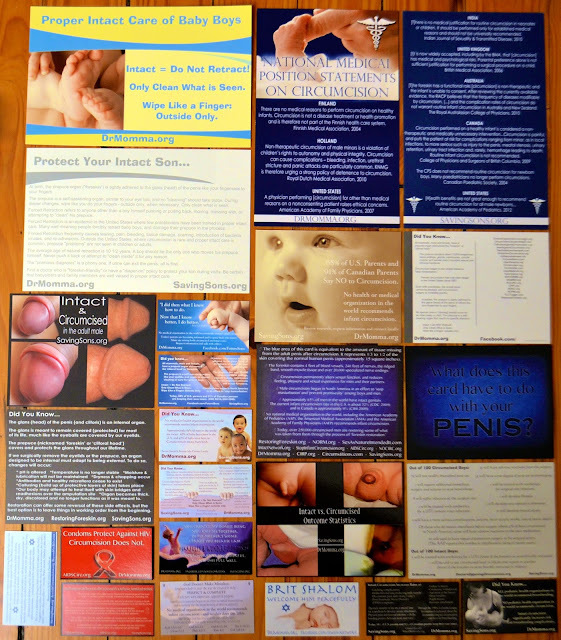 These are 2-sided, full color, glossy, and made with heavy card stock so they can be reused (or laminated and kept handy with your baby's diaper bag). [Optional] A Jewish/Brit Shalom themed or Christian themed info card with pertinent faith-based resources for Jewish or Christian families. Email SavingSons@gmail.com or include a note with your request if you would like a Jewish or Christian themed card included. These are meant for recipients who may be considering circumcision for faith based reasons. Calmoseptine samples: This diaper cream is the top recommended ointment for use on sensitive and developing skin. It does not interfere with a baby's natural pH or healthy (protective) microflora, and is perfect for use on intact boys when irritation or redness may occur. 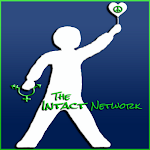 It is the #1 recommended cream by pediatricians volunteering their time with DrMomma.org, and is the cream we use when leading intact care classes around the nation with The Intact Network. Calmoseptine can be purchased at all pharmacies in the U.S. and Canada, and most pharmacies world-wide for about $6/tube. 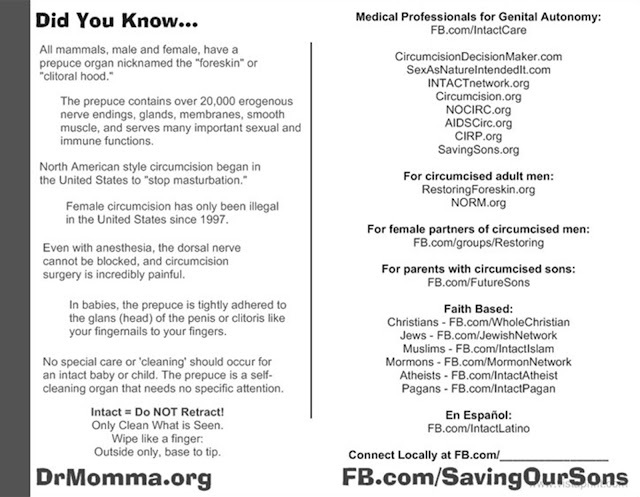 Contact information and follow-up with families who may have additional questions, or want to talk with a 'foreskin-friendly' physician, educator, or other parents in their local area who have recently been through this decision. Each of the items in the SOS info pack has been specially selected by a board of individuals who have served in the professional fields of pediatrics, human sexuality, development, birth and education over the past 35 years. Our pack serves to empower parents in making a fully informed decision for their son before birth, and equipping parents with necessary resources for proper intact care after birth. The SOS info pack is perfect to share with friends, family and parents (or parents-to-be), as well as birth and baby educators, midwives, doulas, and medical professionals serving expecting clients. 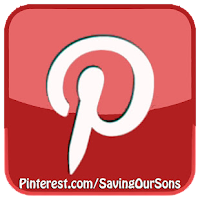 If you would like to request an information pack for yourself or someone you know, use the tab below or contact us at SavingSons@gmail.com. We will gladly send a pack anonymously on behalf of those who wish to do so, although information is typically better shared gently and respectfully between trusted parties. Information packs cost $12 for printing, materials, and supplies; $4 to ship (U.S.), $7 (Canada), $8 shipping to other international locations by weight. You may choose to donate any amount for your pack, but if it is less than $16, you will be placed on a waiting list until the rest of the funds are gathered to ship. 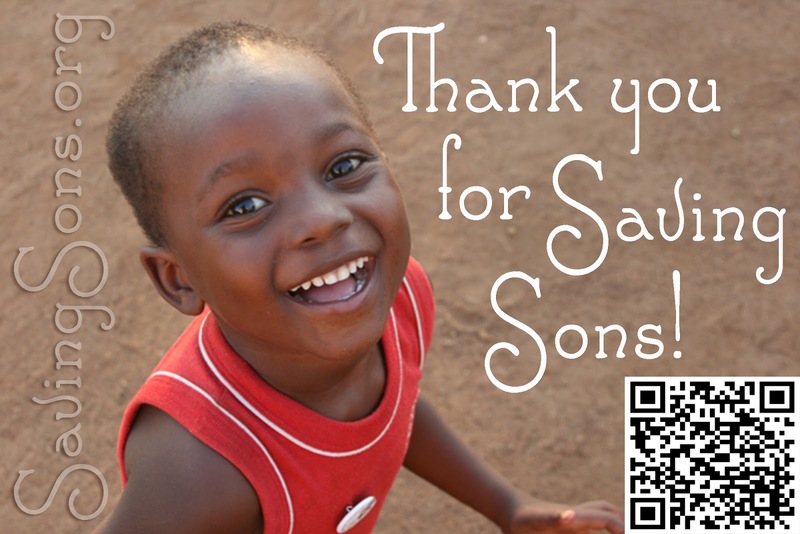 If you donate more than $16, the remainder will go to help others. If you are able to sponsor an info pack for another family on the waiting list, please visit this page to view current families waiting. An Obituary: The Un-Word is Dead!